This protein bar includes high-quality Whey and Milk protein isolates. It contains natural chocolate, cocoa butter, almond and natural flavors. It is a bit chewy and may stick to your teeth. Quest Nutrition Protein Bar is extremely rich in protein and energy! It's especially useful for those who stick to a healthy diet but can’t live without sweets. The bar has a huge range of mouthwatering flavors to satisfy needs of every customer. A 0%, C 0%, Ca 15%, Fe 8%, P 10%, Mg 8%. This triple-layered bar coated in milk chocolate tastes really amazing. Super yummy! A great option for those who want to build muscles. GMO-free. It has only a few flavors. Carb Killa is low in carbs and high in protein, which makes the bar widely favored by professional athletes and military personnel. You can also use it as a between-meal snack, but don’t eat it more often than twice a day. Milk protein (Calcium caseinate, Milk protein isolate, Whey protein isolate), Milk chocolate with (Sweetener: Maltitol, Cocoa butter, Whole milk powder, Cocoa mass, Emulsifier (Soy lecithin), Flavors) 18.3% Gelatine hydrolysate, etc. 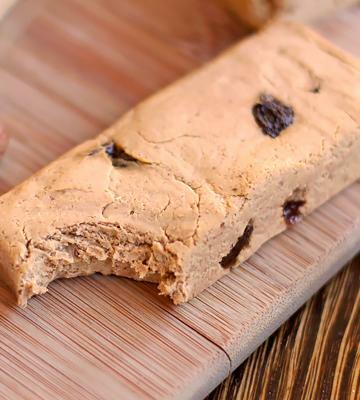 This antioxidant-rich bar consists of natural ingredients that will fuel your body with healthy fats, carbohydrates, proteins, and a huge amount of fiber. No trans fats. Not recommended for people who are allergic to nuts. 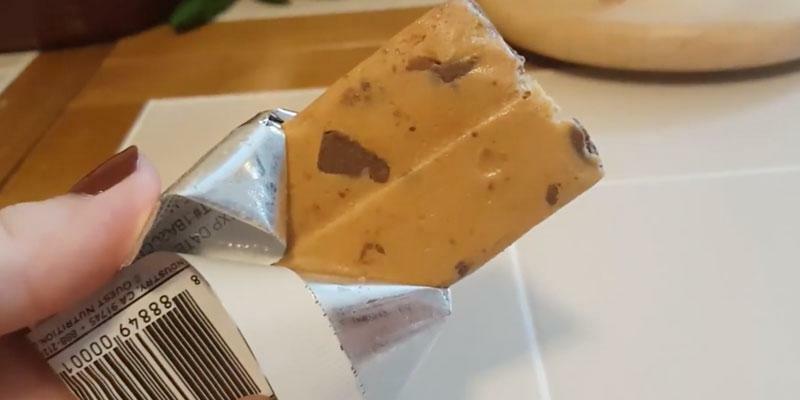 This compact protein bar can refresh you at the gym or on-the-go, and you'll never have to choose between health and taste! Kind 12 contains only natural ingredients that can naturally boost your energy. The bar boasts a high fiber content (10g - 40%), which slows down the absorption of carbs, proteins, and fats. Hence, it's very useful for muscle building. Gluten Free! It has a specific aftertaste. Oh Yeah! bar can also serve as a healthy snack to quell your appetite any time you want. It contains a large amount of protein and is low in fats, thus, it's also highly recommended to athletes who need protein intake before and after workouts. A 0%, C 0%, Ca 8%, Fe 4%, P 6%. It controls your blood sugar, quells your appetite and gives an energy boost. It can be used as a snack between meals 2-3 times a day. Cholesterol-free. Not recommended for people who are allergic to soya and milk. This wonderful low-calorie kosher protein bar includes real bits of berries, hence, has a pleasant refreshing taste. It’s an excellent bar for people who suffer from diabetes but still want to be in a shape and stick to a diet. 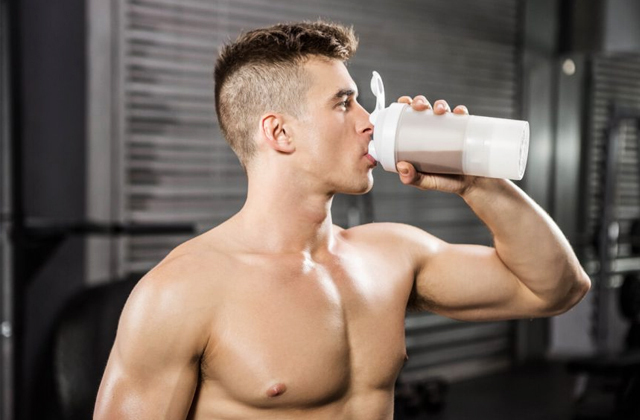 Soy protein isolate, Maltitol syrup, Uncooked cornstarch, Vegetable glycerin, Inulin (fiber), Milk protein isolate, Resistant maltodextrin (fiber), Cocoa butter, Sunflower oil with Tocopherols, Rice starch, Cranberries, Natural flavors, Sugar, etc. A 0%, C 2%, Ca 4%, Fe 10%, P 10%. 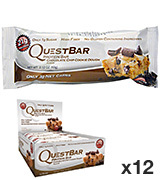 QuestBar is a premium protein bar containing 21g protein of milk isolate and whey isolate. Due to a Stevia, it tastes really amazing, it's pretty sweet with less than 1g of sugar. It consists of only natural products without artificial ingredients like monosodium glutamate and aspartame. The bar includes 20g of slow carbs that will perfectly boost your energy and help improve muscle recovery. Thanks to such composition, this protein bar can be called the best natural sports product that will not only give your body strength but also improve your health. Experts recommend eating this sports bar as a quick snack between meals and after workouts. 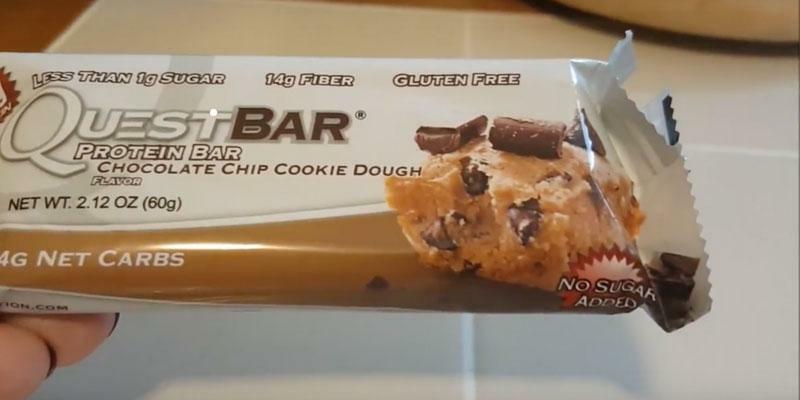 Also, QuestBar is the perfect solution for people who want to lose some weight. Quest Nutrition boasts a huge variety of tastes; try berry, fruit, nut mixes, Apple Pie, Chocolate Brownie, Cinnamon Roll and much more tastes. This delicious bar has a compact size, thus, you can always carry it with you in order not to skip your favorite snack time. 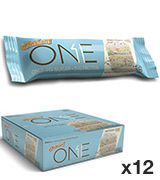 One pack contains 12 bars, the weight of a single serving is only 60g. The whole pack is about 720g. 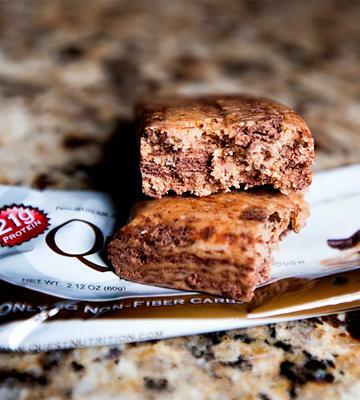 If you want to eat tasty all day long, getting lean at the same time, opt for the superior Quest Nutrition 12-count Protein Bar! The best way to lose weight is to exercise regularly. 3-4 workouts a week for 60-70 minutes will surely bring you visible results. So, the first step to the body of your dream is to start visiting a gym or a swimming pool. 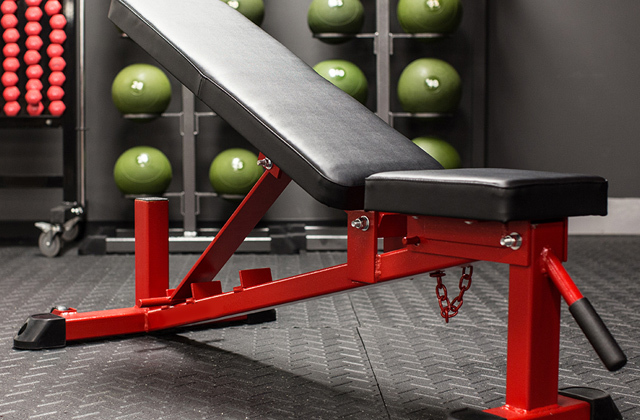 At first, all your workouts should be carried out under the supervision of a trainer in order not to get a serious injury. By working out your body in a gym, you will strengthen your muscles, get lean mass and get rid of excess weight. But do not skip your workouts if you want to achieve your goal since only regular training can bring the best results. Those who don't have the possibility to visit a gym shouldn't give up as the Internet offers tons of home workouts aimed for weight loss. Yoga Mats, Exercise Balls and Hula Hoops will surely come in handy! What is the best time for workouts? If you get up early, the best time for training is morning. For "owls", it is better to train in the evening. Start your workout one hour before a meal. Finish training no later than 2-3 hours before bedtime. How long should my training last? 30-40 min workouts 2-3 times a week are enough for novice athletes. After a while, increase time up to 40-60 min 3 times a week. Give your body a 10 min warm-up before each workout. After training, it's necessary to stretch your muscles. Control your pulse during the workout. The faster your heart beats, the more fats you burn. To reach the best results, balance cardio with weight training. Set real goals, do not overtrain, perform each exercise with pleasure! Also, try Quest Nutrition Protein Chips, Cheddar & Sour Cream made with high-quality Whey and Milk Protein Isolates. 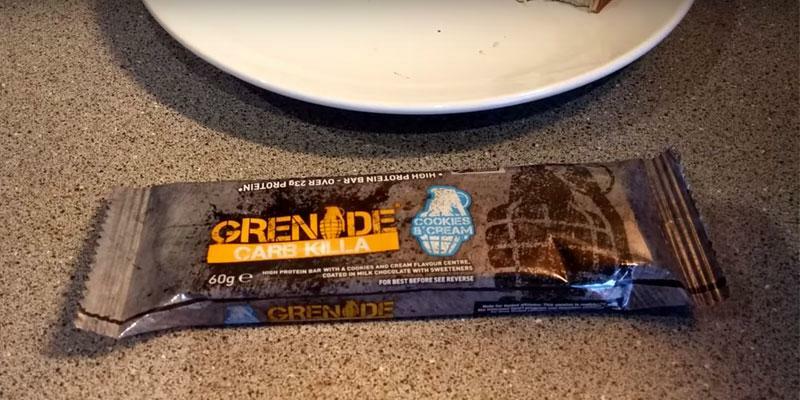 Grenade Carb Killa is a high-protein low-carb bar. Thus, it's ideal both for those on a low-carb diet and for people who want to gain some muscle mass. The bar provides 23 grams of protein while limiting the level of sugars and carbs, less than 1.5 gram each! Thus, it helps build lean muscle mass without loading your body with unwanted carbs. 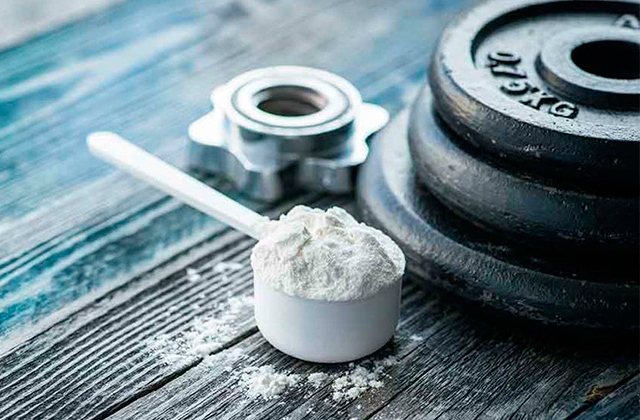 That's why it’s widely used by professional sportsmen such as bodybuilders, CrossFitters, arm wrestlers etc. 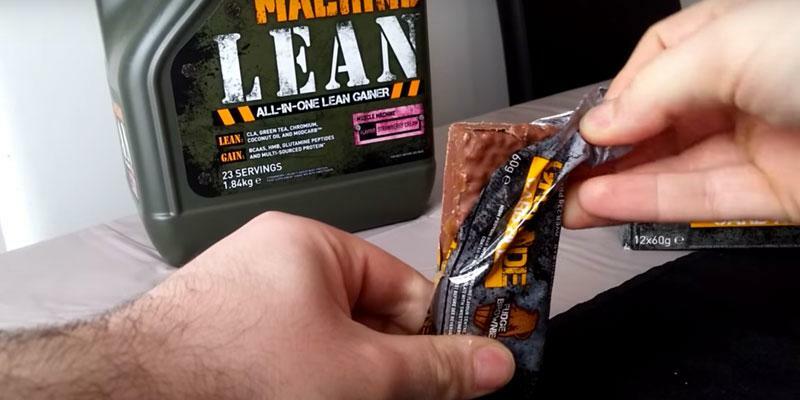 Every pack of Grenade Supplements has 12 bars weighing 60 grams each. 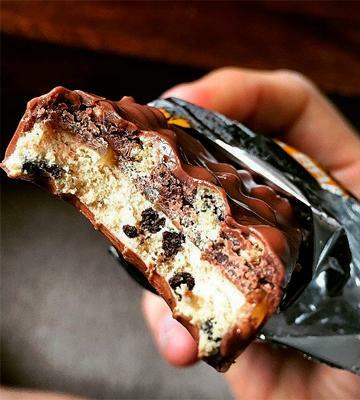 A bar consists of three delicious layers filled with crunchy 'crispies' and is covered with a milk chocolate. It's available in Chocolate Cream, Caramel Chaos, White Chocolate Cookie and Chocolate Crunch flavors. 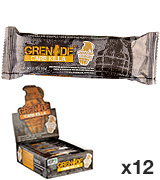 Grenade Carb Killa is what chocolate lovers just can't miss. All of the protein, none of the guilt! The main tip for building muscle mass is to get a proper nutrition! So, you should always remember that a well-balanced nutrition is a pledge of a good workout. Any novice athlete should wolf down at least 4-6 meals a day at a specific time. A proper lunch box can help you with this. Try to take in about 1 gram of protein per pound of bodyweight. Also, read foodstuff labels to get a sense of its nutrition facts. During intense training, your hunger is your enemy. So, eat an hour before the workout. And this is where a protein bar can serve as a fast and healthy snack. It is necessary to calculate the daily rate of necessary protein and calories in order to build muscles. Then divide that total number by the number of meals you eat. As you know quality comes first, so it's necessary to think of "what" before "how much." Do not eat fried food, instead give preference to ground beef, chicken breast, fish, turkey, and quality protein supplements. It is important to eat right before and after training. Also, it's essential to give your body some rest and avoid stress. Do not overtrain! Any athlete knows that muscles grow during sleep, so a sound sleep is a must for muscle gain. In addition to all listed above, you must give up all bad habits since alcohol and nicotine destroy the protein in a human body, decreasing the growth of muscles. By following these simple steps, you will be healthy and wealthy! Grenade Defend BCAA & Amino with amazing flavor can be taken pre, during and post-workout as well as throughout a day to tilt the balance of Leucine and other essential amino acids. 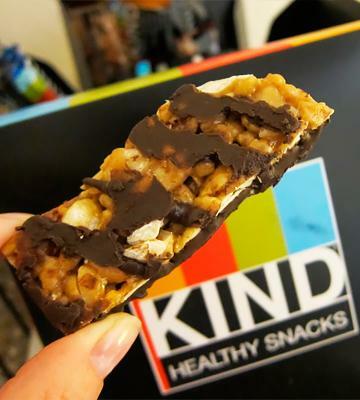 KIND Bar is a tasty and healthy snack that you can have between your main meals. This kosher energy bar doesn’t contain any trans fats and can become an integral part of a daily diet for people who go in for sports or do weight lifting exercises. It includes plenty of natural ingredients with a high content of potassium, responsible for water metabolism and salt exchange. One serving of KIND PLUS weighs 40 grams. These bars contain only 7g of protein but have a high content of natural foods such as nuts, honey, cocoa that can boost your energy for a whole day. Additionally, such natural products can boast of the high content of useful vitamins, and micronutrients essential for a human body. There are 7 types of delicious tastes so that everyone could select a suitable one. 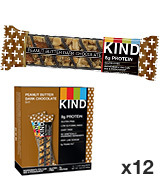 Never choose between health and taste, get this KIND PLUS bar! Any modern athlete or person who cares about his health knows that jogging is very useful. So why is it so good? Running is great for our respiratory system. 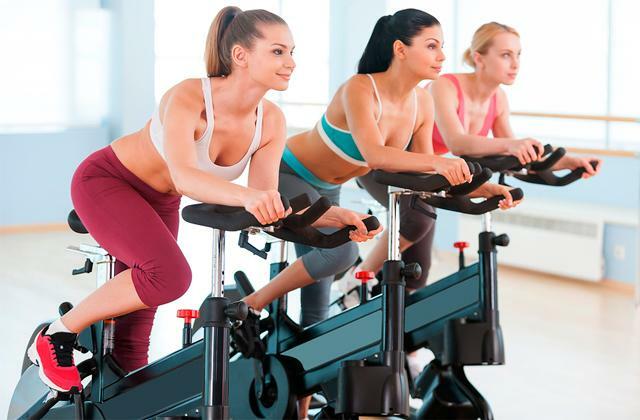 It is an aerobic activity, which means our lungs work considerably harder than usual. A mind-boggling fact is that we generally use ten times more oxygen when running than if we did sitting in front of TV. Regular jogging can make your lungs work more efficiently. Jogging is good for our heart and cardiovascular system. It is through the blood that all the nutrients including oxygen are transported to every cell in our body. Thus, burning cholesterol while jogging reduces blood pressure which dramatically lowers the risk of heart diseases. A healthy cardiovascular system, in turn, has knock-on effects on our heart. It strengthens our muscles and joints. When jogging, we put a pressure on our cartilage, joints, bones, and muscles, making them spring back stronger. But don't be afraid, jogging is a pretty gentle kind of sports, and our legs complete only low weight extensions, so they will not grow massive. Numerous studies have shown that runners are half as likely to suffer from osteoarthritis. Impressive! Jogging torches serious calories. If we run at the pace of about ten minutes per mile, we burn approximately 588 calories per hour! As we get fitter and faster, the fat-burning effect will be even more fantastic. 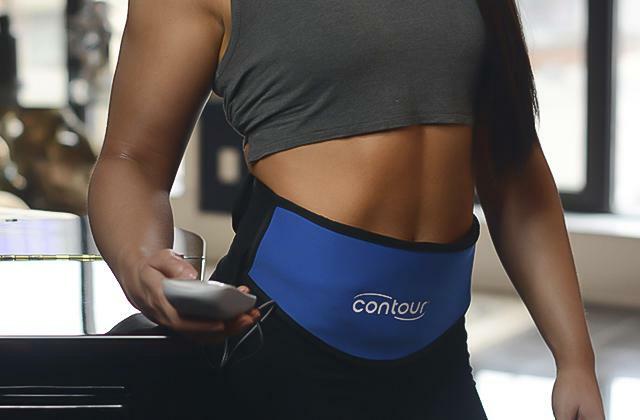 To track your progress, we highly recommend you to get a fitness tracker. A good diet together with jogging will work wonders! Social and mood improvements. Running causes a feeling of euphoria, also known as ‘runner’s high’. Plus, it acts as an anti-depressant, reduces stress and boosts with energy. That's why it's not strange that jogging is highly recommended to people who suffer from depression. To run everytime and everywhere, choose one of the best treadmills. Vita Coco 100% Pure Coconut Water is rich in vitamins and minerals. Having a fresh coconut taste, it is very healthy and will be a great addition to your diet! 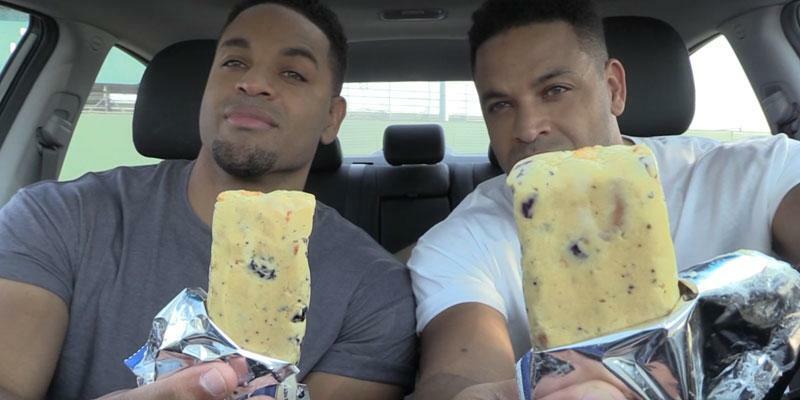 Super delicious sports OhYeah bars will bring sweet taste into your diet! This Oh Yeah! Birthday Cake bar was developed for active people, for those who know how to achieve their goals and set new records. Such an on-the-go snack will also suit those who stick to a healthy diet and don't eat junk food. This bar can really boost you with energy for a whole day. Oh Yeah! has 14 different mouthwatering flavors that taste like your favorite desserts, such as a birthday cake, peanut butter and much more. Plus! A well-balanced composition will satisfy even the most inveterate sportsman. 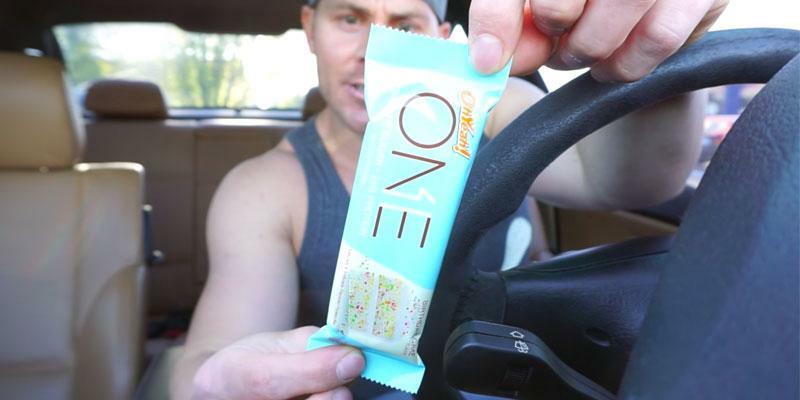 This super useful bar includes 22g of pure protein (whey protein isolate and milk protein isolate) and only 1g of sugar along with 2-3 net carbs, which makes it the best option for sportsmen who want to build lean muscle mass and burn fat. In addition, Oh Yeah! bar really energizes you and gives a super strength. The package contains 12 protein bars, that’s quite enough for 7 days. The weight of one bar is 60 grams. Overall, Oh Yeah! bar is a great option for people who can't imagine their life without sport and for those who want just to fuel themselves with minerals and vitamins! High in fiber, non-GMO, Gluten Free. Score! Why Protein is so Important? Protein is an important building element in our body, about 20% of the human body is made up of protein. Each cell consists of protein and thus, it is the only nutrient responsible for building muscle. In addition to muscle building, protein is a good source of energy. Amino acids are the building blocks of proteins. 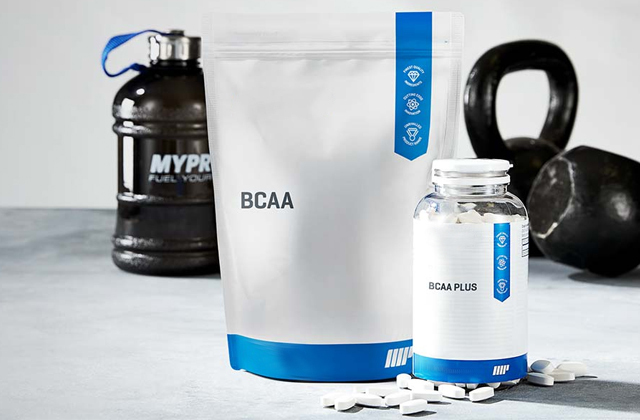 This means that amino acids also carry out important functions, they give cells their structure, transport and store the nutrients, repair tissue, especially in the muscles, remove all kinds of fatty deposits, affect the growth and proper development of the body, regulate water and alkaline balance. Most amino acids can not be synthesized and the only way of making them up is to eat properly. The main source of protein is meat, fish, dairy products and different nuts. If you are a vegetarian or have special reasons why you don't eat meat, there are plenty of plant foods that contain protein. The recommended daily amount of protein for an adult is 1 gram per pound of body weight. Yet if you have a busy schedule or other reasons why you can't stick to a balanced diet, a protein bar or a cocktail is the best option. Cellucor Cor-Performance 100% Whey Protein Powder with Whey Isolate boasts the perfect formula for lean mass build. Today, everyone wants to be fit and eat sweets. This is now possible with Extend Mixed Berry fitness bar! 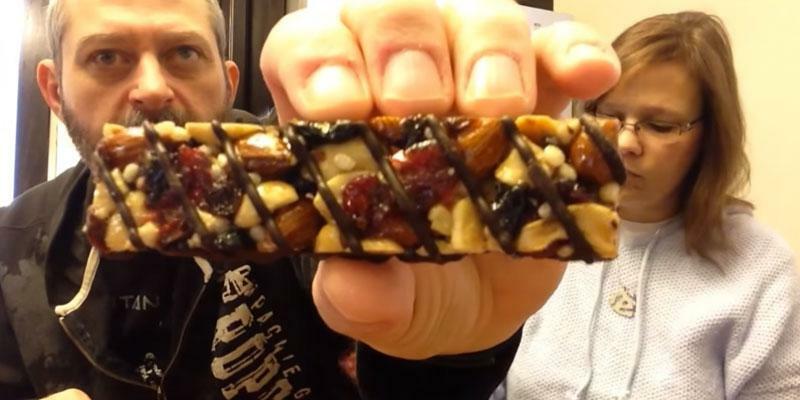 These bars are made especially for people who visit gyms and swimming pools with a goal to lose some weight but can not possibly survive without eating sweets. 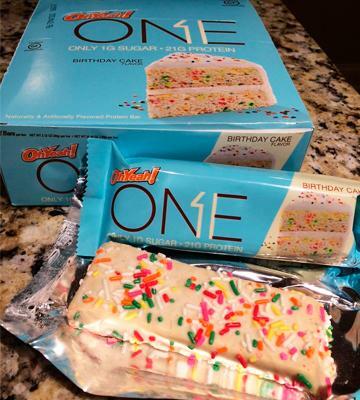 This nutritious bar can really replace your favorite cakes without any harm to your figure. Thanks to this sweet and incredibly delicious bar, you will be able to suppress your appetite for 3 hours, or even more. It also helps improve muscle recovery, prevent exercise-induced hypoglycemia and can boost your body with extra energy for your workouts. Plus! These bars are a must for people who need to control their blood glucose level as close to normal as possible. 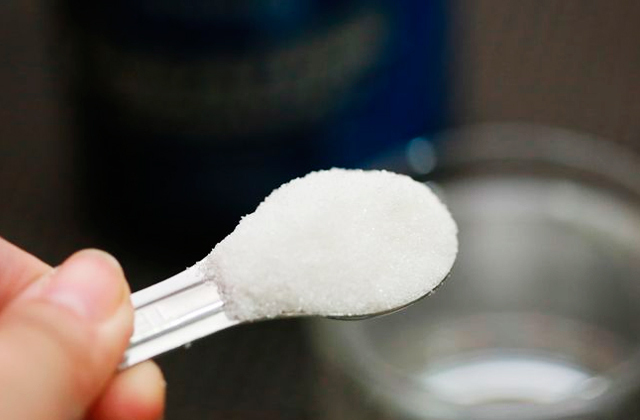 The patented formula helps you control blood sugar for 6-9 hours. So, people who have diabetes just can't ignore these delicious and healthy bars. 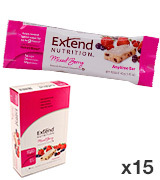 One package of Extend bars has 15 pieces, 40 gram each. This will be enough for 7-10 days, depending on your lifestyle. Since the bar is full of real bits of strawberries, blueberries, and cranberries, it has a fresh delicious taste. Furthermore, natural components will allow you to get only the most useful elements and vitamins to maintain your health. Hands down, the best heart-healthy snack rich in protein and fiber! Many people still associate "diet" with strict limitations in foods they love, however, it isn't quite so! Healthy eating is about improving overall health and mood, boosting up energy, maintaining healthy weight, feeling good, and eating delicious food. Use our tips to make up your own healthy but tasty diet! Try to cook meals at home! Thus, you can pamper yourself with delicious homemade meals and take control over the food you’re eating. Don't overfry your food, use less oil and more protein-rich ingredients! There are tons of delicious and healthy recipes from turkey, chicken, seafood, etc. on the Internet you can try. An electric grill and slow cooker can help you prepare the healthiest and tastiest dishes ever! Change wisely! Replace unhealthy food you are used to with healthy alternatives. Choose healthy fats instead of trans fats. Instead of frying, grill chicken fillet or fish, have a lean slice of bacon! 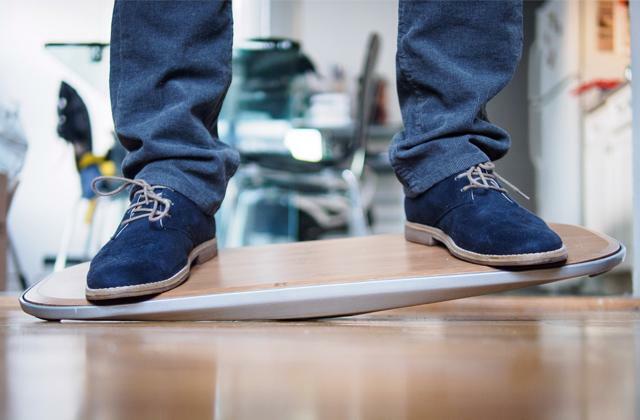 Doing this way, you will be able to lower the risk for heart diseases and improve your mood in general. Replace sugar with fresh fruits. Fruits are very healthy, they can fill your body with plenty of vitamins and, at the same time, satisfy your longing for sweetness. Think of tons of tasty desserts you can create from fruit. Don't overdo! Instead of counting every calorie, opt for fresh ingredients. Read the foodstuff labels. Consider nutrition facts as the low number of calories doesn't always mean the absence of unhealthy fats and sugar. Drink water. Water flushes your body of toxins, thus, it's advisable to drink at least 30 ounces of water a day. Being insufficiently hydrated also means tiredness, headaches, and low energy. Drink pure water and try to avoid sugary drinks. A sports water bottle is essential during your workout. Eat healthy snacks. Cut down on candies, cakes, cookies, and biscuits. Protein bars are perfect to satisfy your sweet tooth! Boost Glucose Control Nutritional Drink boasts a unique blend of protein, fat, and carbs to help you manage blood glucose levels. 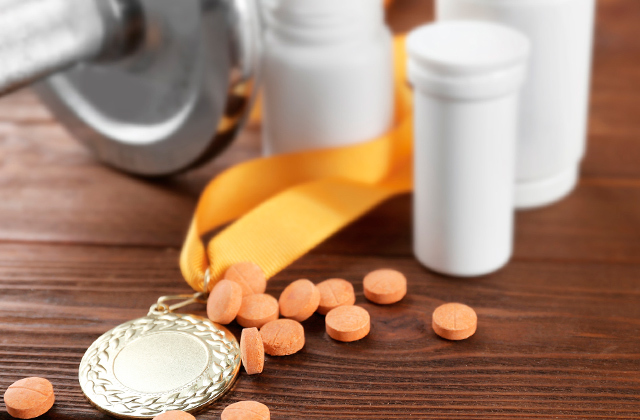 It doesn’t matter if you are a pro-athlete or just a newbie, to get tremendous results in sports you need to stick to a balanced diet and everyday activities. But what should you do if you just have no time for a healthy meal? How to sustain energy after a workout? This is where a protein bar comes in handy. Unlike typical chocolate bars, protein bars have fewer carbs and don't contain trans fats which lead to obesity and cardiovascular diseases. The protein bar can enrich your body with all the necessary vitamins and minerals, build muscles, control hunger, reduce calorie intake, complement any healthy diet or even replace a meal if needed. Such bars are essential not only for athletes but also for people who are not involved in sports since the bars have a lot of useful microelements that promote wellness. Protein bars are very compact and won't take much space in your pocket, so you'll be able to have a quick snack right on-the-go. We also recommend you to check out our latest reviews on the best wheight protein powders and best weight gainers. Nowadays, there are a huge variety of nutrition bars on the market. Therefore, you need to think of your goals and choose a protein bar according to them. You may need a bar for weight loss, muscle gain or just energy supplement. For example, if you want to lose some weight, you need a low carb protein bar. Low carb bars contain special ingredients such as L-carnitine burning fats. The so-called fat burning bars can satiate your appetite and rich your body with micronutrients and vitamins. Moreover, they fill your body with energy and taste really good so that all customers can choose a bar to their liking. High carb bars are great for those who lead an active lifestyle and sometimes just have no time for a meal. They also work well for those who want to get the maximum energy boost before a workout. Such bars contain carbohydrates that can be rapidly absorbed by your body. 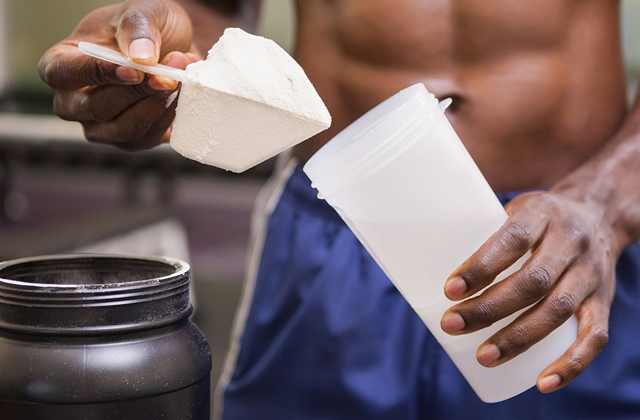 If you are a professional sportsman, you'd need to consume more protein in order to gain more muscle mass. High protein bars are very popular among athletes who want to gain the maximum strength. And that’s what these bars have been actually produced for! Having defined your goals, it is important to pay attention to the ingredients and calorific value of protein bars. A bar should contain carbs, high-quality proteins, natural fats, calcium, fiber, and vitamins. The energy bars may also contain some natural dark chocolate, nuts, and concentrated milk protein. If you want to lose weight, you should opt for the bars with either minimum amount of sugar or with no sugar at all. A bar for sportsmen who longer to stay fit should be rich in protein and scarce in fats. Also, note nutrition facts per serving to make sure a protein bar is well balanced. For example, if you want to gain muscle mass, you need to choose a high-calorie bar with lots of protein. A bar of about 250-350 Kcal and 18 grams of pure protein will be perfect. In addition, we recommend you to choose the one including different types of protein and rich in amino acids. Yet if you want to lose some weight, a bar should contain no more than 180 - 250 Kcal and no less than 10g of protein. Bars with a huge amount of sugar can be harmful to your health, so we advise sticking to those containing less than 10% sugar. Don't buy bars with trans fats! Don’t forget that food expiration dates are of a huge value, also pay extra attention to the manufacturing date and shelf life. Consider the taste and the number of bars since buying a package for a month is a great way to save money. An average bar weighs 30-80 grams. Today you can find a lot of flavors to satisfy your sweet mouth. 1. Jessica Girdwain 16 Ways to Lose Weight Fast, Health. 2. Neil Osterweil The Benefits of Protein, WebMD. 3. William Lagakos How To Choose A Healthy Protein Bar That Isn’t Candy, Builtlean. February 20, 2016. 4. 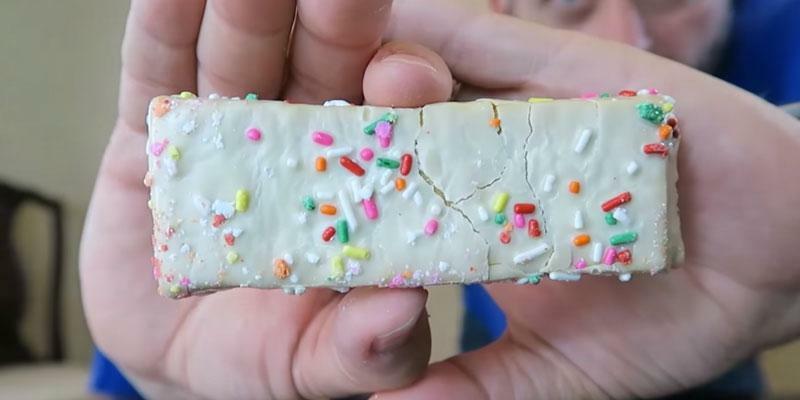 Shannon Clark Bar None: 6 Things To Look For In Any Protein Bar, Bodybuilding. April 7, 2015. 5. Christa Sgobba The 12 Best Protein Bars For Men, Men's Health. May 3, 2016. 6. Jan Annigan Are Protein Bars Good or Bad? Healthy Eating. 7. Ann Jamerson The Advantages of Eating Protein Bars, LIVESTRONG. August 22, 2015. 8. 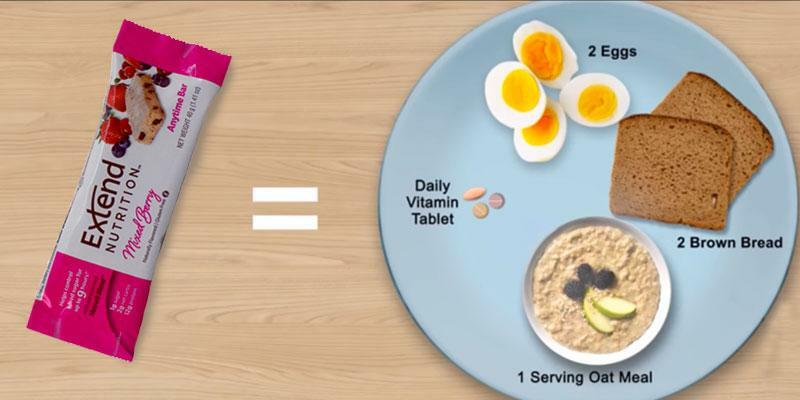 8 Health Benefits of Eating More Protein Foods, Dr. Axe. 9. 18 Easy High-Protein Recipes, Real Simple. 10. Shannon Clark 4 Effective At-Home Weight-Loss Workouts! Bodybuilding. July 8, 2016.